World Hijab Day, founded by Nazma Khan in 2013, takes place every year on February 1st in more than 140 different countries around the world. 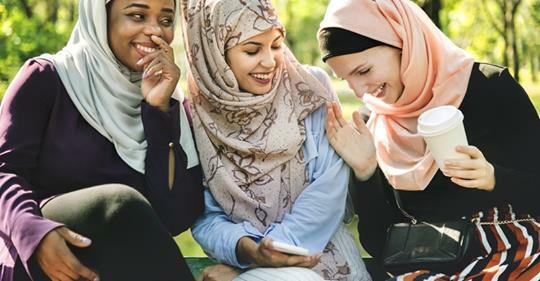 With the aim of spreading awareness about the meaning of hijab as well as exploring the reasons why so many Muslim women choose to wear the physical hijab, World Hijab Day has become a global phenomenon. Bringing together women and men from all different backgrounds and religions in the hope of understanding and celebrating our differences, for this year’s World Hijab Day, we asked Muslim women what the hijab means to them, and about both the struggles and love that goes into wearing their hijab proudly. To learn more about World Hijab Day and how to participate, click here! For me, the reasoning behind why people wear hijab really are endless… with almost 1.8 billion Muslims, that means there are literally 1.8 billion opinions on why someone would choose to wear hijab. What I believe though, is that at the end of the day, hijab simply represents one’s love for God. Putting aside notions of modesty, cultural influences, and religious upbringing (all of which are important, by the way), I think one of the most important aspects of why hijab is so beautiful is that it is a manifestation of the love and devotion one has in their spiritual journey towards serving God. There is no meaning behind hijab if there is no love for God, and my own journey with God has been almost simultaneous with my journey with hijab. I’m able to be proud of my love and devotion to God with my hijab, and I think that’s one of the main reasons why I love wearing my hijab so much.